North Phoenix got about 1 inch of rain this winter, whereas around 6 inches normally falls. 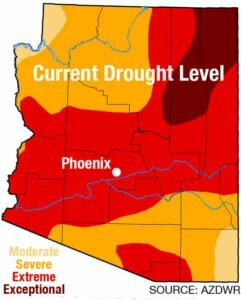 The situation is similar throughout Arizona, exacerbating a 21-year drought and forcing officials to institute fire restrictions early and everywhere. Maricopa County started its annual ban on campfires in county parks early, on May 1, instead of after Memorial Day. Yavapai County already banned all open fires and campfires in unincorporated areas. 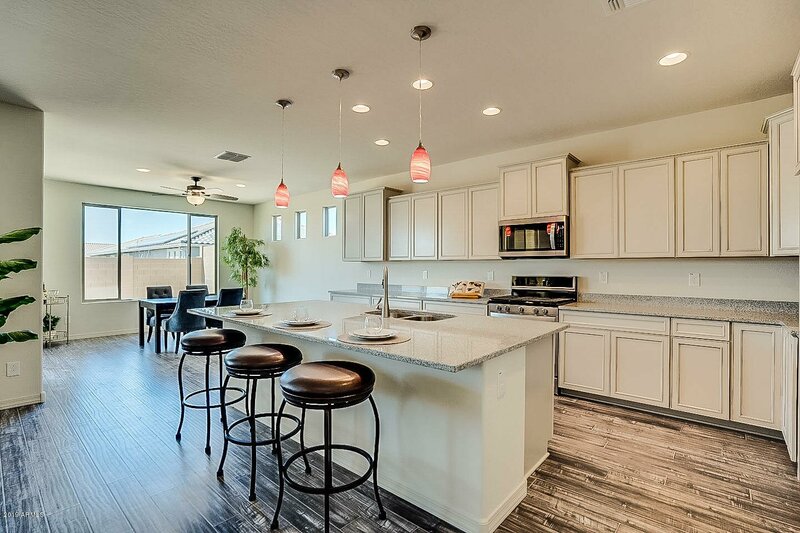 All state land in Maricopa County and several others are under Stage 1 restrictions, which prohibit fires except in developed campsites or picnic areas. State land in Yavapai County and others to the north are under Stage II restrictions, which prohibit all fires as well as smoking outdoors. Nine of 10 wildfires are human-caused, the U.S. Forest Service says. Officials hope to avoid a repeat of last year’s devastating wildfire season: 2,262 wildfires scorched more than 400,000 acres in Arizona. “Last year Daisy Mountain Fire & Medical units responded to 47 brushfires,” DMFM spokesperson Paul Schickel said earlier this year. It may have been “our busiest wildland season since the mid- to late-1990s,” he said. Last year’s first significant brush fires along the I-17 corridor didn’t strike until April. 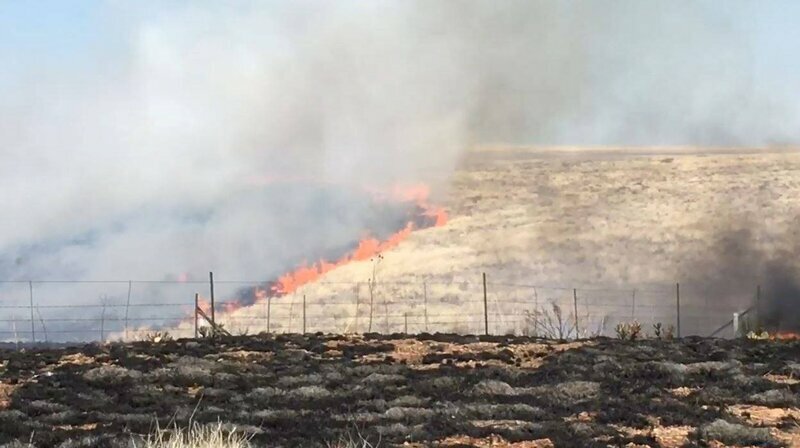 This year, DMFM responded to several smaller grass and brush fires starting in February, Schickel said, adding that his agency was anticipating another active fire season. “Dry conditions, warm temperatures, wind events, and people being careless are more than enough reasons… to implement restrictions sooner rather than later,” said State Forester Jeff Whitney. There is concern that too many people don’t pay attention to fire restrictions. As one example, between April 20-22, the Forest Service officials issued more than 300 warnings and multiple citations to people visiting the Tonto National Forest who broke rules of the Stage II fire restrictions that were already in place there. The majority of the violations involved target shooting, followed by campfires and use of charcoal. On April 18, a homeowner in Humboldt was burning tumbleweeds in his back yard. 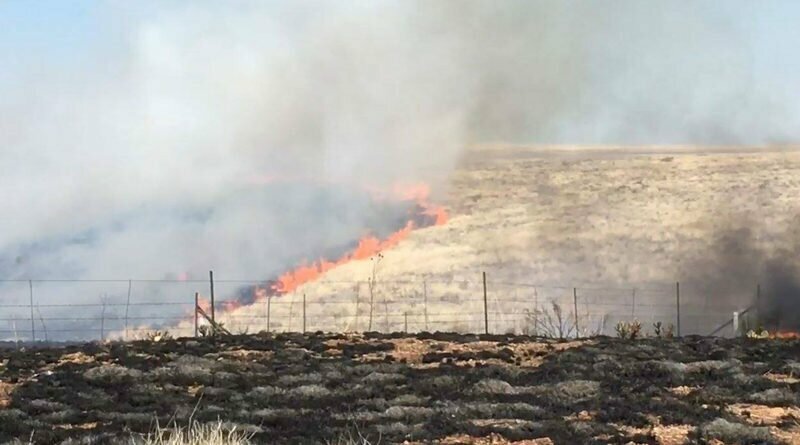 The fire jumped over a block-wall fence into an open field, burning an acre before fire crews arrived and doused the flames. The homeowner was cited for reckless burning, “due to well publicized fire restrictions in place,” according to the Yavapai County Sheriff’s Office. Nationwide last year, the U.S. Forest Service’s costs to fight wildfires reached a historic high of $2.4 billion. This year, throughout the West, fire officials are concerned about the extremely dry conditions and long-range climate forecasts for more of the same. “By mid-summer, we expect warmer and drier-than-average conditions, large amounts of grass, melting of below-average snowpack, and increasing potential for thunderstorm activity and lightning starts to create above-average potential for significant wildfire activity in a large part of the western U.S.,” said Ed Delgado, a forecaster at the National Interagency Fire Center. Statewide, three large fires still burning earlier this week had scorched more than 48,000 acres. Several smaller fires have been brought under control along the I-17 corridor from the North Phoenix area up into the mountains in recent weeks. Officials also remind people not to drive a vehicle off the road into tall grass—another common cause of wildfires. Homeowners are advised to create a 20- to 30-foot defensible space around their house.